Last year my husband and I celebrated our 15th wedding anniversary in a little town here in Oklahoma. While in town we came across a cute little restaurant that served the best drinks. We decided to test out a few different flavors but one in particular really stood out. It was a juice drink with peach infused flavors. The best part was that it was frozen. 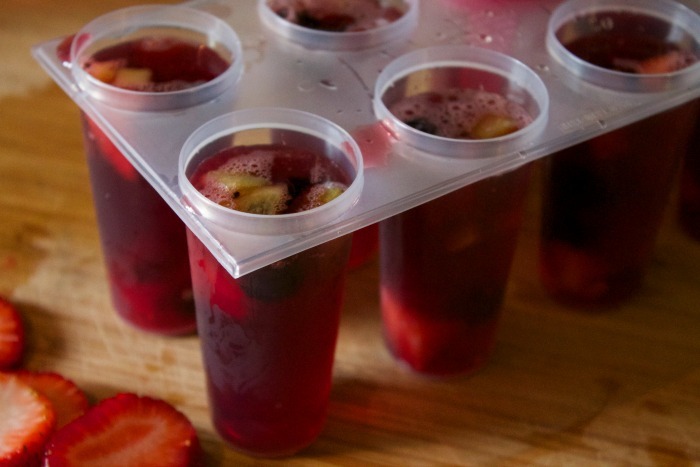 So, ever since this fun experience I have been addicted to freezing fresh fruit in different juice and seeing what I can come up with. 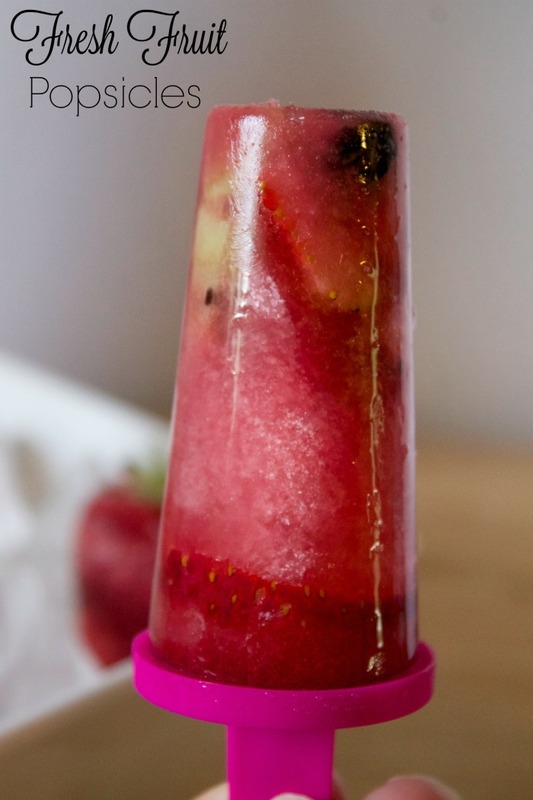 One of my favorites is this Fresh Fruit Popsicle made with a few simple ingredients. It’s very easy to make and super good. It’s perfect for those hot summer days when you can just kick your feet up and cool down with one of these delicious treats. 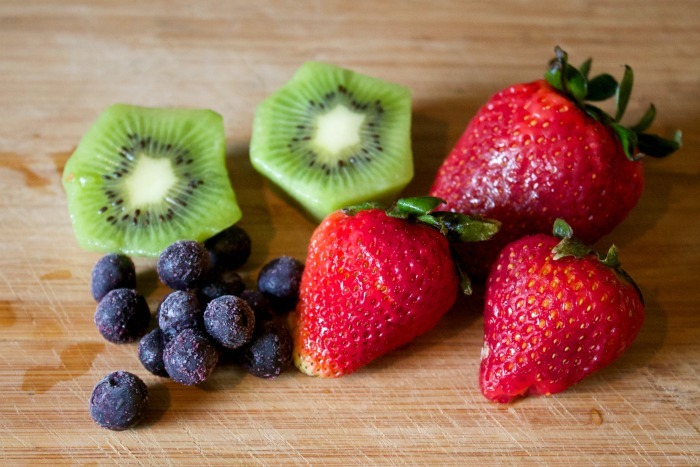 The first thing you’ll need to do with this fresh fruit popsicles recipe is to chop up your fruit into small pieces. Next fill the popsicle molds up first with the fruit. 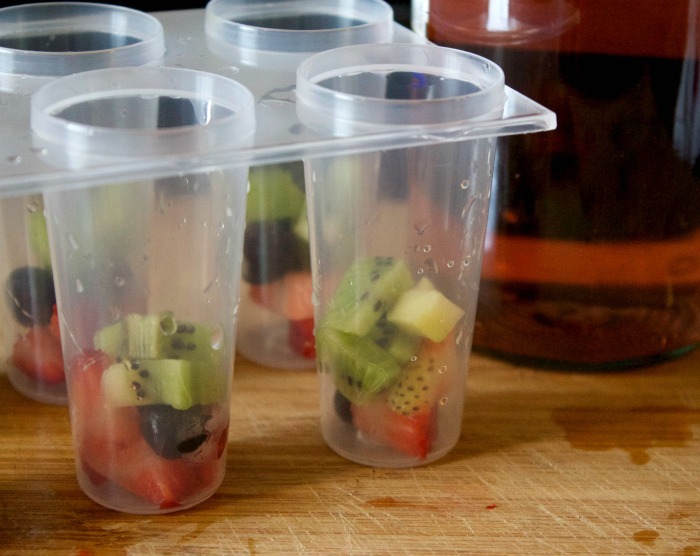 Mix together the sugar and grape juice and pour over the fruit. Cover the molds with the included popsicle sticks and place in the freezer for at least 2-3 hours or until completely frozen. 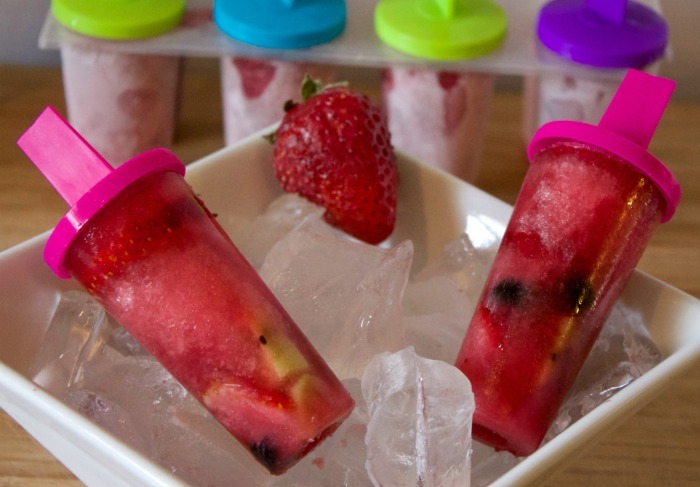 These popsicles looks so yummy and refreshing. Perfect cool down for a hot Summer day. The kids would love these. .